Feel a bit slow here, but it seems that this item has a typo on it. The item shows Deflect, but in fact it would seem that it should be Dodge. Assassins do not get deflect, etc. At present the word focus is interchangeable with adrenaline just like deflect with dodge. 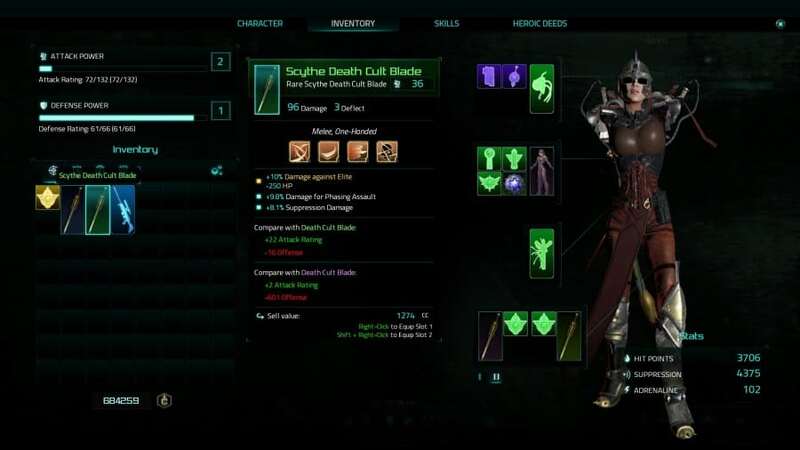 Presumably after things have been updated if I have an eye implant on my assassin it'll read +adrenaline and if I exchange it with my crusader it'll update to +focus etc and reflect the character who is equipping it.